Are you an artist or designer, a wannabe artist or designer, a prospective student who is interested in art or design, or just someone who simply appreciates good art and design? If so, Open Studios is the event for you! 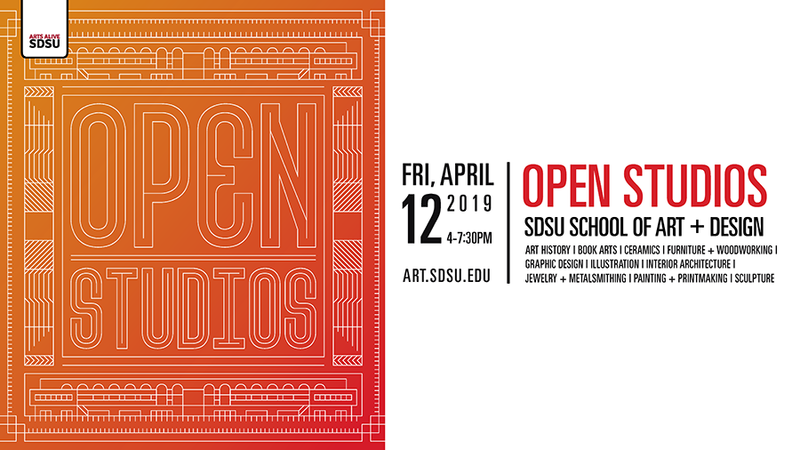 Please join us at SDSU’s School of Art + Design for Open Studios, our annual, school-wide open house event, on Friday, April 12, 2019, from 4:00 – 7:30 p.m.